Sell Old Textbooks - We're the Book Buying Specialists! Well it’s that time of year again. For some of you the new academic year is just about to start, for others studying is over and it’s time to put that education to good use. Either way you’ll have the problem of what to do with your old textbooks, books that are either gathering dust on shelves, taking up valuable space or generally keeping the place untidy, (if you are a student…more untidy). 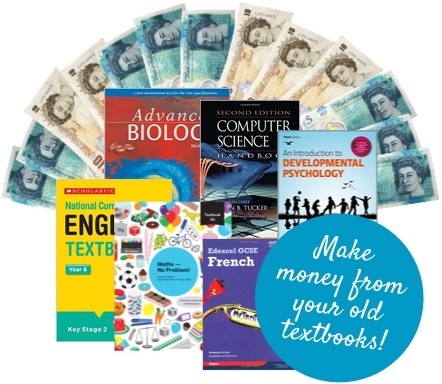 If you’re unsure of what to do with these unwanted textbooks then worry not because there is a solution – why not make yourself some extra money and sell old textbooks at WeBuyBooks.co.uk! We want your old textbooks! If you don’t know by now, at We Buy Books we…well we buy books! Who’d have guessed it, eh? Admittedly the name of the website gives the game away a bit but for those that need reminding of what we do it’s pretty simple. We will take all your old and unwanted textbooks off your hands, reuse and recycle them and, (here’s the good bit) pay you good money for them. Times are tough, we could all do with a little extra money in our pockets and at we buy books we can give you just that in exchange for things you have no further use for. It’s a win-win situation! Sell your old textbooks at We Buy Books – the process couldn’t be simpler. We’ll pay you good money for the textbooks that you no longer want or need. Send us one, send us two – just send us all the textbooks that are of no use for you. We won’t leave you waiting. We’ll pay you the day after we receive your items too…woohoo! At this point we have to point out that you will obviously get more money if you sell old textbooks that are in good condition. We understand that they may have picked up a bit of wear and tear along the way, but as long as they don’t look like they’ve been put through the blender or used as a makeshift bathmat then they’ll be fine and you’ll be able to make some good money. 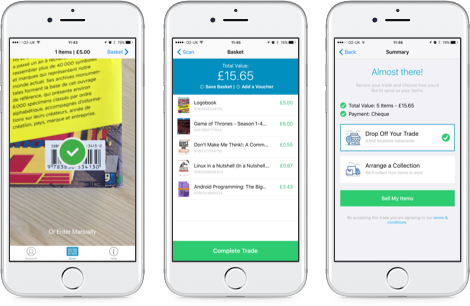 By using we buy books you’ll save time, (we give you an instant price for your books); hassle, (no more clutter and mess) and you get some much-needed money in your hand in double quick time. It makes sense, just grab those books and see for yourself just how much money you can make when you sell old textbooks at We Buy Books. What are you waiting for? 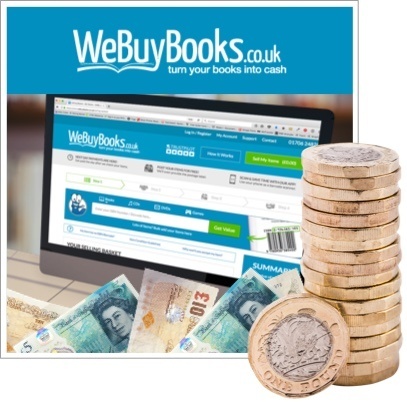 Go on, sell your stuff online for cash – You can now also sell CDs online to We Buy Books, as well as, DVDs and games.